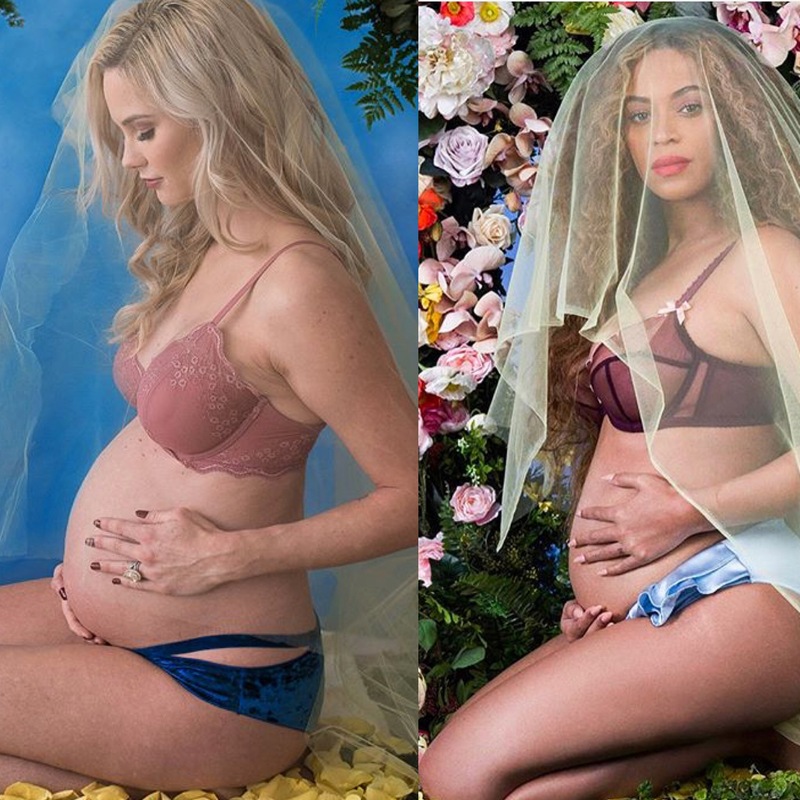 Because Beyonc’s 2017 exotic pregnancy shoot photos can never be parodied enough, BravoTV’s Real Housewives Of Orange County expecting star Meghan King Edmonds did it too, recently. Why not? Edmonds too is expecting twins similar to Bey when she was shot on a car before a floral Frame. Edmonds posted two photos of a shoot that looked exactly like the Queen B’s from February 2017 and some behind the scenes footage. Edmonds who is carrying twin boys and is mom to one year old daughter, announced this past January that she plans to retire from the Housewives series.